This interactive book was designed and hand crafted by the women of Bright Solutions in Vietnam. Bright Solutions is an innovative, small business providing employment and training to single mothers, widows, low skilled or unemployed women. Bright Solutions aims to improve the work skills of the women, their long term job prospects and self confidence thus empowering them and their families to move towards financial independence. 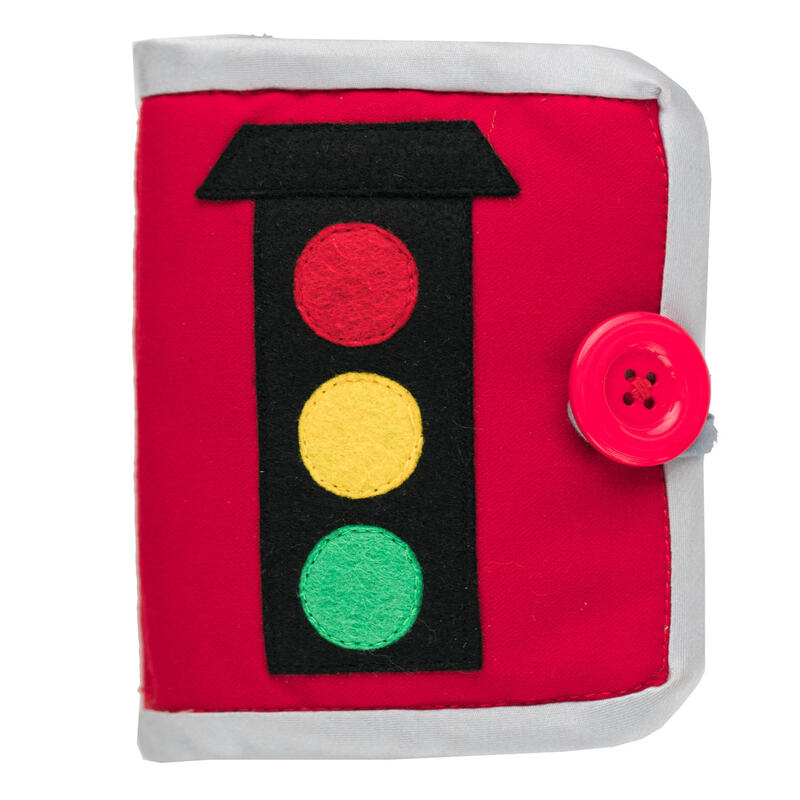 This little book, with a transport theme, is a perfect size to take anywhere and will engage your child and enhance their play and language. Each page focuses on a different mode of transport, is vibrant in colour and full of interesting textures to explore. This book is designed to also encourage storytelling, imagination and to develop an early love of handling books. The pages are soft, a perfect size for little hands and easy to grasp and turn. All new fabrics have been used in the creation of this book. There are no detaching pieces and it is washable. This book can be closed with a soft loop and bright button.